I could quite easily run out of breathless adjectives to describe the awesomeness of this card. Three world titles, three further bouts that could easily be no.1 contender fights and the three ‘other’ bouts featuring exciting talent and some of WMMA’s biggest names. Top billing goes to Barb Honchak defending her Flyweight title against the popular Leslie Smith, with ‘Cookie Monster’ Carla Esparza‘s Straw-weight defence against undefeated Brazilian wrecking machine Claudia Gadelha in the co-headlining slot. Third up, we have a new champion being crowned as Lauren Murphy faces Miriam Nakamoto in a battle of the undefeated knockout machines. That theme continues as Muay Thai specialists Felice Herrig and Tecia Torres square off in a bout that could decide the next challenger for the straw-weight belt, so long as Herrig and BFF Carla Esparza don’t both win their matches. If that happens, then expect the next challenger to come from our next bout as Scotland’s Joanne Calderwood pits her higher level striking against Finland’s well rounded Katja Kankaanpaa for what I’m calling the unofficial European title. Towards the bottom of the card we have such WMMA luminaries as Zoila Frausto Gurgel, Vanessa Porto, Tonya Evinger and Sarah D’Alelio and their relatively low position on the bill only underlines the depth of this card. This is an amazing card, full of exciting, technical and finish-hungry fighters. It’s worth every penny of your $14.95 (approx. £9.14) for the iPPV so please click here and get it bought. It seems that the UFC’s goal for this card is to get huge in Australia by combining relatively local fighters with the near certainty of insane knockouts. I have not objection to this. 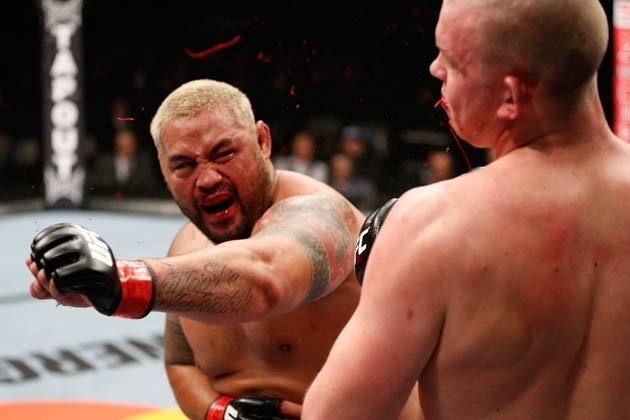 In the main event, Mark Hunt & Antonio ‘Bigfoot’ Silva have had eleven stoppage finishes in twelve fights over the last three years and with both coming off nasty knockout losses they’ll be looking to re-establish themselves. In the co-headliner we have legendary striker Mauricio ‘Shogun Rua and the ever game James Te-Huna looking to come back from submission losses. I don’t see any way this fight is boring. Third on the bill is American gatekeeper Ryan Bader looking to keep his head above preliminary card water against Anthony ‘Hippo’ Perosh, who despite being largely underrated is 4-2 in his most recent UFC run and hasn’t gone to a decision since 2006. Soa Palelei is the next Aussie flying the flag, taking his wrestling and ground & pound based game and nine fight win streak to the always entertaining, if grappling deficient Pat Barry who needs a win after his nasty KO loss to Shawn Jordan. If those four matches have a bell to bell time of more than half an hour I’ll eat my hat. Further down the card is less obviously exciting but featuring such quality talent as Julie Kedzie and Takeya Mizugaki along with a bundle of UFC debutants with impressive records, most notably Ben ‘Manimal’ Wall who featured on TUF: Smashes it’s well worth switching on early. This Friday night, from 11pm online (youtube, ufc.tv, mmajunkie etc.) then from midnight on BT Sport in the UK, check local listings or http://www.ufc.com for elsewhere. Would YOU sign Ben Askren? Ben Askren finds himself in a strange predicament. He’s undefeated, a champion, finished his last two fights and is broadly ranked as a top ten welterweight – but Bellator don’t want to keep him and the UFC don’t seem to want him either. The reasons for this shouldn’t surprise anyone. Despite Askren’s flawless record, he remains a relatively one dimensional martial artist, winning his fights via exemplary wrestling and even his TKO stoppages tend to come from volume of strikes against an opponent who can’t improve their position, rather than any truly impressive striking or power. In short – he’s a bit dull for anyone other than a committed wrestling afficionado. This is by no means a rule for wrestlers in MMA as a legion of fighters – notably including Jon Jones, Daniel Cormier, Michael Chandler, Johny Hendricks – have all added dynamic striking to the positional advantage that wrestling gives them and hence have earned their share of highlight reel KO victories. Does a lack of appeal for the casual or ‘just bleed’ fans make a top level fighter actively unattractive to top promotions? Is it right that big promotions pass on a successful fighter just because he’s not as fun as he might be? Isn’t this a sport, where athletic achievement is what matters most? On the other hand, MMA is a solo sport, an entertainment sport where fans pay to watch compelling fighters over and above any attachment to tournament, promotion or championship. Dana White has advised Askren to go to WSOF and there are a bundle of interesting fights for him there – Steve Carl, Josh Burkman, Jon Fitch, Gerald Harris, Aaron Simpson and Jorge Santiago could all provide compelling challenges, but wouldn’t bouts against Rory MacDonald, Dong Hyun Kim, Gunnar Nelson, Josh Koscheck, Mike Pierce etc. be even more so, and surely it’s best to have such a talent in house than potentially evolving into a megastar elsewhere? 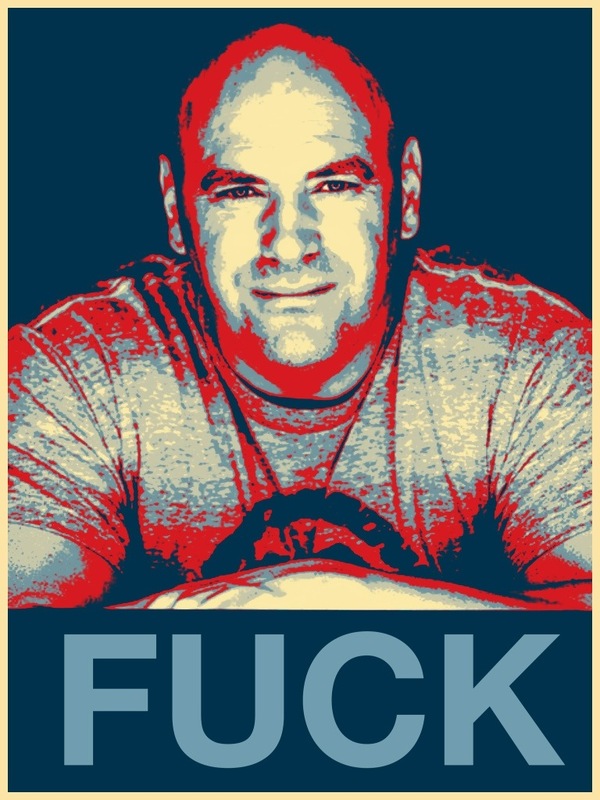 Dana clearly doesn’t see dollar signs or at the very least, value for money in Askren as things stand but he’s signed fighters with far less evident upside and shouldn’t the UFC have the ‘elite level’ fighters where possible, even if they aren’t all as much fun as their more flamboyant peers? In any case, I ask you – would YOU sign Ben Askren? We’ve not talked overmuch about Bellator recently, largely due to being a bit horrified at a chunk of their actions (reducing tournament size, low balling fighters, releasing undefeated champions, giving title shots to guys who haven’t won tournaments…) but we have to say, this Friday’s card is a cracker. Headlined by Alexander Shlemenko making the first defence of his Middleweight title against knockout machine Doug Marshall, supported by two tournament finals, it’s the deepest card they’ve put on in a while. 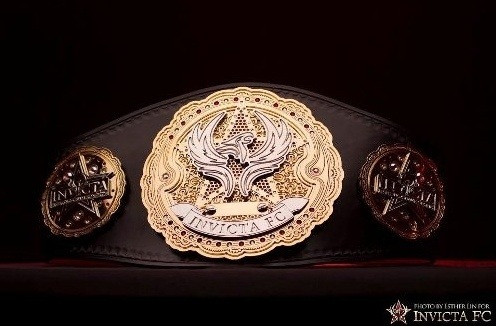 At lightweight Alexander Sarnavskiy faces Will Brooks for the right to face Eddie Alvarez for his recently regained strap, while at Welterweight Rick Hawn and Ron Keslar are set to collide with the prize of a match for the vacant belt against previous tourney winner Douglas Lima. Yeah, the prize there is to be the guy the would probably have been ground out by Ben Askren, way to add value to your fighters/belts/promotion! Further down the card we have English standouts. Michael Page and Terry Etim as well as undefeated Bulgarian, Blagoi Ivanov in bouts that might well affect our European rankings next week. Obviously, Sarnavskiy and Shlemenko will feature there as well. Anyways, despite our issues with Bellator in recent times, we like to give credit when a fight card is so promising. We’ll definitely be checking out the prelims on spike.com and videos of the main card on Saturday morning. Yesterday saw the news that Cage Warriors Fighting Championship have made massive steps towards expanding into the Scandinavian market, signing over a dozen fighters, appointing a dedicated head of operations for the region and planning at least two events (in Denmark and Sweden) for the first half of next year. Scandinavia has one of the most developed MMA scenes in the world, with top quality promotions like Superior Challenge and Cage FC as well as excellent coverage through sites like MMAViking. Cage Warriors have long been aware of this quality, utilising a lot of Nordic talent like Mats Nilsson, Martin Svensson, Katja Kankaanpaa, Mikael Silander and Joni Salovaara and it’s a logical, if brave step to commit to this market in such a fashion. Add that to their having the busiest calendar of any major MMA organisation not called the UFC, their courageous booking policy which has seen them put cards on in far flung places like Dagestan, Jordan and Glasgow, not to mention their upcoming visit to Baghdad as a part of their THREE events in December and the ongoing quality of their fights, booking and professional presentation there can be little doubt that Cage Warriors are Europe’s #1 promotion and probably #2 in the world behind the UFC. Yes, I rate CW above Bellator. It’s not all about money. What sets these promotions apart from all others is a combination of ambition, consistency and the laser like focus and determination of the folk at the helm of each company. The UFC take a lot of flak in Europe for not coming often enough, or not giving us good enough cards but you must remember that they lose money on almost every overseas trip (with the probable exception of Brazil) and that they come at all is a testament to their desire to grow the sport and build a greater market for themselves in the future. Cage Warriors show similar drive, given that they could easily do six or eight events per year, hold them mostly in London and Dublin with occasional trips to the provinces and still be considered the UK’s top promotion. They don’t NEED to add a women’s division, embark on trips to the Middle East or launch a grand assault on the Nordic scene, but they do these things to get better, and if there’s one thing martial arts is about it’s about getting better, every day. 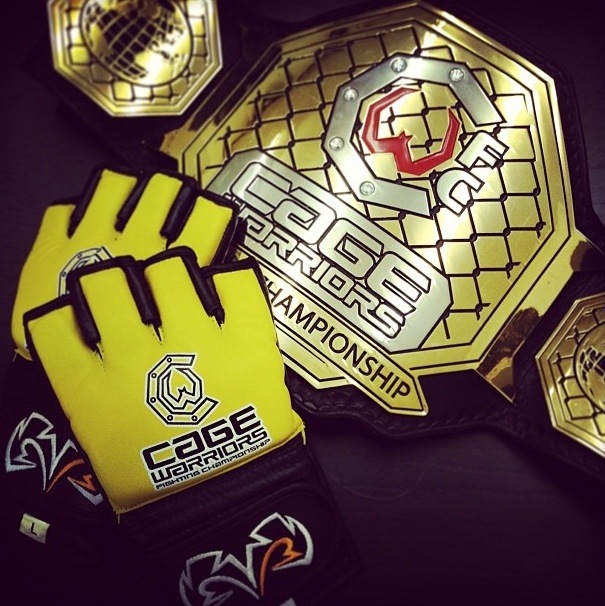 2014 is shaping up to be a great year for MMA and Cage Warriors will be big players in that. I may have looked over GSP’s title defence against Johny Hendricks yesterday and scored for the challenger, but looking at it again I’m prone to score the first round as a draw, which would leave us in pretty much the same situation we find ourselves in real life… waiting on a rematch. In any case, my belief that GSP remains one of the greatest fighters ever to step in the cage – worthy of occupying that lofty plinth next to Royce Gracie, Fedor Emelianenko and Anderson Silva – remains intact, even enhanced by the weekend’s happenings. Georges may not have the highlight real or near mythological status of Fedor or Anderson but I truly believe he is the blueprint for the modern mixed martial artist and a shining example for anyone looking to take up the sport. Cerebral, well rounded, professional, he never misses weight or shows failing cardio. Georges has shown an uncanny ability to keep a fight where he has the greatest advantage over his opponent, keeping strikers on the ground and grapplers on the end of his jab. He is the epitome of what a MIXED martial artist should be, even if you’d rather he got more stoppages. His professional conduct and clean cut image have helped draw sponsors to MMA who wouldn’t even have looked at the sport five years previously and he’s helped to show that you don’t need a pro wrestling persona to be a big star. A decision loss to a larger, younger, stronger fighter with acknowledged wrestling credentials and knockout power would have been nothing to be ashamed of, and the more I watch the match back, the more I see a case for a GSP getting a draw or a win. What matters is his legend, and that is intact and I wish Georges all the best in resolving his personal issues and can’t wait to see him in the cage again. You can have your own opinion on whether Georges owes the UFC or the fans at least one more match, but you can’t deny that the sport would be a far, far poorer place for the lack of him.